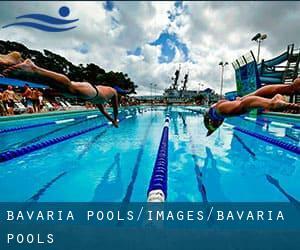 Before trying any pool, make sure you know the rules and regulations for Bavaria Pools as they may not be the same as inside your home town. We recommend you contact the pool directly to ask in the event you will need a hat, and what sort of footwear or certain clothing you will need. Swimia.com needs your feedback on Aquagym in Bavaria to ensure all of the information about swimming in Bavaria is valid. We almost certainly don't know all the Pools in Bavaria. Are you missing any? Contact us!. Please have a look at the pools swimmers like you have reported near Bavaria. Please, report any Bavaria Pool not listed here. Swimming is really a sport for all ages. It helps young men and women to tone their muscles and grow healthy and strong. For the elderly, there's no better technique to exercise than finding a Bavaria Pool to escape from every day routine. 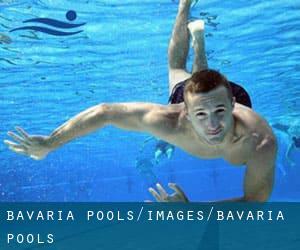 The very best Bavaria Pools are located mainly in huge cities, but it is also easy to find public pools in rural places. There are numerous alternative treatments to chlorination, with amazing benefits that make sure better water top quality in the pool. One possibility may be the mineralizer, which purifies water naturally and significantly decreases the chemicals utilised and maintenance time. Try Chlorine Free pools in Bavaria. One of the benefits of outdoor swimming in Bavaria could be the possibility to sunbathe in the course of the summer time season. Taking it with additional care, sunbathing is healthy given that introduces Vitamin D into the body, so the best selection seems to be switching between indoor and outdoor pools depending on the season. There are a number of reasons why it is best to choose a heated swimming pool in Bavaria. Essentially the most essential one relies on the importance of keeping the body temperature stable. If the water is too cold, your body will try to warm it up and you will lose strength to swim correctly. Enjoy the best indoor pools in Bavaria and don't worry about the weather. These facilities are open all seasons and you can enjoy a swim at the same temperature every day of the year. If you're tired of having eyes and irritated skin, discovering a saltwater pool in Bavaria can be the solution. You might want to understand that the degree of salt from these pools is well below the level of salt from sea water, particularly they are talking about a tenth or less. Let us tell you a secret to switch off even though you are in Munich: just choose a Swimming Pool in Munich and plunge into the water! There's no additional beneficial method. Holding an estimated population of 102.675, Erlangen is one of the most important cities in Bavaria. Check all the Swimming Pool in Erlangen and its surrounding area. It's difficult to visit Bavaria without having dropping by Augsburg (with 259.196 residents). At present Swimia is showing you all the Pool in Augsburg along with the closest pools located in its vicinity. Swimming is a exceptional idea to keep your body active during your visit to Wurzburg (Bavaria), or perhaps if you are a local. Swimia assists you to locate your closest Swimming Pool in Wurzburg. Updated on 2019 Pestalozzistraße 6 , Dietenhofen , GERMANY (Postal Code: 90599). This sports center offers 25 meters x 10 meters, 4 lanes, Indoors. For this Swimming Pool, only phone number is number here. Updated on 2019 Dammarkstraße 6 , Mittenwald , GERMANY (Postal Code: 82481). Swimmers like you reported 25 meters, 5 lanes, Indoors. Phone number and e mail address are number for this Pool. Updated on 2019 Siebentischstraße 4 , Augsburg , GERMANY (Postal Code: 86161). This sports center delivers 25 meters x 16-2/3 meters, Indoors. For this Pool, only phone number is number here. Updated on 2019 Stadtmauerstrasse 35 , Erlangen , GERMANY (Postal Code: 91054). This sports center gives 25 meters x 15 meters, Indoors. Contact information for this Swimming Pool for example phone number and email address are number. Updated on 2019 Schulstrasse 9 , Schwarzenbach am Wald , GERMANY. Among all the activities offered by the center, if you are enthusiastic about swimming you will enjoy 25 meters x 10 meters, 4 lanes, Indoors. Just in case you would like to contact this Swimming Pool just before dropping by, we only know the phone number. Updated on 2019 Aichacher Straße 7 , Friedberg , GERMANY (Postal Code: 86316). Swimmers like you reported 25 meters, 5 lanes, Indoors. Unfortunately we do not have the email address of this Swimming Pool, but we can give you the phone number. Updated on 2019 Seeshaupter Straße 24 , Penzberg , GERMANY (Postal Code: 82377). Among all the activities offered by the center, if you are considering swimming you are going to get pleasure from 35 meters x 14 meters, Indoors. Just in case you would like to contact this Swimming Pool just before dropping by, we only know the phone number. Updated on 2019 Parkstraße 21 , Mitte , Velbert , GERMANY (Postal Code: 42549). Swimmers like you reported 25 meters x 16 meters, 6 lanes, Indoors. Unfortunately we do not have the email address of this Swimming Pool, but we can give you the phone number. Updated on 2019 Altendettelsauer Straße , Neuendettelsau , GERMANY (Postal Code: 91564). Among all the activities supplied by the center, should you be interested in swimming you may enjoy 25 meters, 3 lanes, Indoors. If you should contact this Swimming Pool, email address and phone number are both number. Updated on 2019 An der Lakaienschäferei 1 , Neunkirchen , GERMANY (Postal Code: 66538 ). This sports center offers 25 meters, 6 lanes, Indoors. Contact information for this Swimming Pool including phone number and email address are number. Updated on 2019 Postillonstrasse 17 , Munich , GERMANY (Postal Code: 80637). Among all the activities supplied by the center, if you are considering swimming you will take pleasure in Olympic size, 8 lanes, Outdoors. If you will need to get in touch with this Swimming Pool, email address and phone number are both number. Updated on 2019 Badstraße 16 , Hersbruck , GERMANY (Postal Code: 91217). Swimmers like you reported 25 meters, 1.8 meters - 3.8 meters depth, 1.8 meters - 3.8 meters depth, Indoors. Phone number and e-mail address are number for this Swimming Pool. Updated on 2019 Oberer Bogenweg 1 , Wuerzburg , GERMANY (Postal Code: 97074). This sports center offers Olympic size x 25 meters, Indoors. For this Pool, only phone number is number here. Updated on 2019 Marktplatz 24 , Untergriesbach , GERMANY (Postal Code: 94107). Swimmers like you reported 25 meters, 5 lanes, Indoors. Unfortunately we do not have the e-mail address of this Pool, but we can provide you with the phone number.